One of the great perks of being a new parent is that you get to blame a lot of things on your kid. And not just weird smells or messes, but other stuff like what TV you watch or how early (or conversely, late) you go to bed. 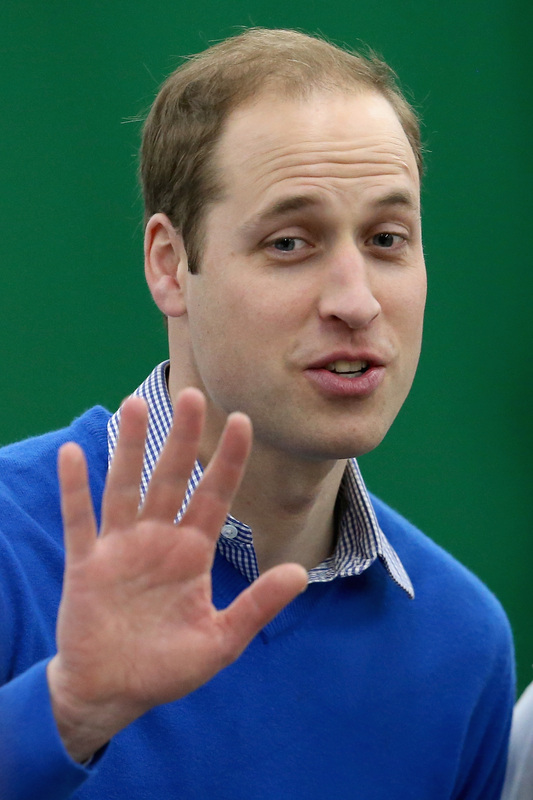 And no one has learned that faster than Prince William, Duke of Cambridge, it seems. Alongside his wife Kate Middleton, the duo have picked up a new guilty pleasure: watching Downton Abbey . Because they didn't have enough aristocracy in their lives, I guess. Several members of the PBS (well, ITV for all you Brits) series sat down with Andy Cohen on Bravo's Watch What Happens Live late night gabfest — including Rob James-Collier, Lesley Nicol, Laura Carmichael, and Allen Leech — and spilled the Duke's proverbial beans for all the world to hear. Unfortunately for Wills his defense doesn't hold up as handily on the world stage as it did in private conversation. "I was actually at an event last week with Prince William, now the Duke of Cambridge, so yeah — I met him last week, shook his hand," Leech explained. "He actually said, 'I'm a big fan of the show, only now that my wife’s had a baby.'" To which we say, (pause for major eyerolls) oh suuuuuuuuuuuure Wills, suuuuuure. Great excuse, blame it on the poor defenseless little baby! As if his tiny — albeit royal — hands would deign to pick up a remote, let alone command its contents and lord over the control of its keys. He is not a vassal of the small screen, nor a tiny superhero-in-training with counterintuitive taste in television. He is a child of the royal family, tut tut! Of course we all know what's really going on here: Wills is just pulling out the "Because of The Baby" Card, waving it around for all the world to see. He's clearly hoping to save himself the inevitable boatload of grief he's all-but-guaranteed to receive from his brothers-at-arms (and definitely his younger brother, that little scamp Prince Harry). Oh and maybe the occasional snarky person on the Internet, wink wink nudge nudge. "Sorry I missed this international diplomacy meeting, Prince George had a case of the burps!" "Hey Harry, can you do the dishes with Camilla? Georgie boy here really needs a nappy change." "Hello, Chancellor Alistair Darling, is that you? I'm going to have to call you back, George is having quite a row." "Oh well jeez, as much as I'd love to speak at our 10 year reunion, Eton College, I'm afraid I'm on George duty that night so the missus can go out for ladies' night." "I LOVE Yo Gabba Gabba! I mean...erm...George does." "Hi Gram. I can't make it over for tea this afternoon. The corgis just give George such a fright, and I'm fearful he might be allergic." THAT'S how you use the "Because of The Baby" Card, Wills. Live and learn.